NEW ATM Machines at All American ATMs!!! 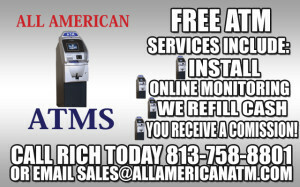 Home NEW ATM Machines at All American ATMs!!! 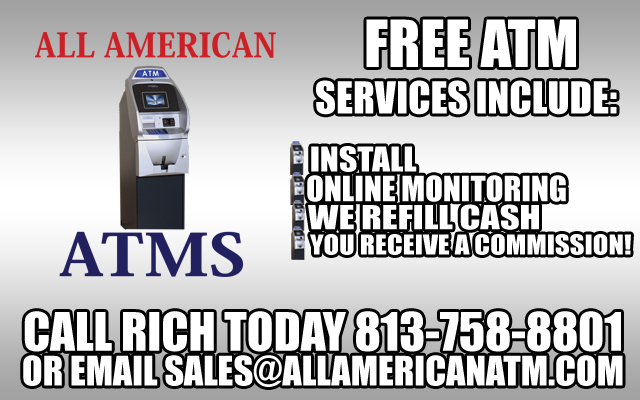 Call Today to see if you qualify for $59/Month Lease one of our Brand New ATM machines! 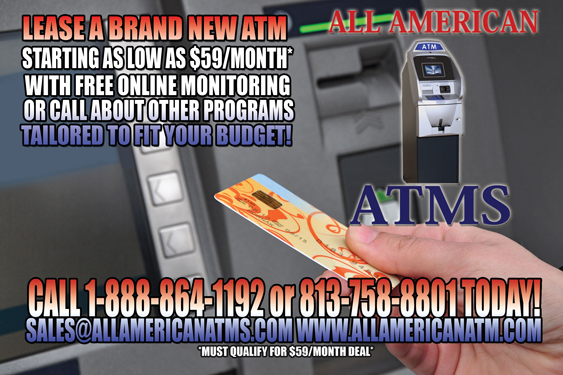 We also have ATMs for Sale along with several other programs for your budget! All New Machines are fully equipped with EMV Technology! What is EMV Technology? Check out our EMV FAQ for more information! 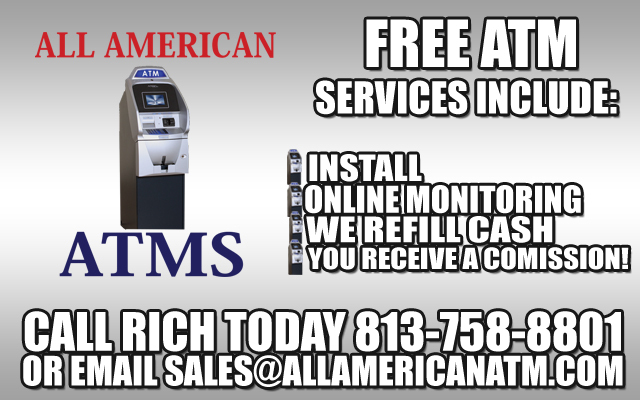 To find out which new ATM machines you can purchase to best suit you, please either call us toll free at 1-888-864-1192 or email us at Sales@allamericanatm.com to buy one of our brand new ATM machines today!